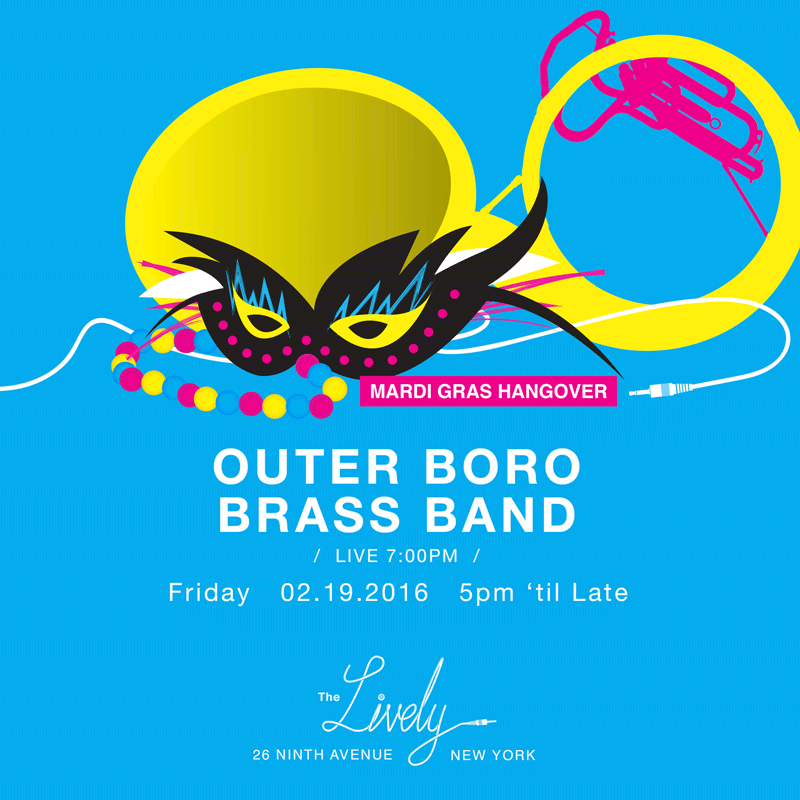 Come and join Outerboro Brass band as we literally take the party UNDER the streets! On Friday, Feb. 19th, Outerboro will take the stage at The Lively, a unique new live music venue in NYC’s meatpacking district. The Lively is defined by live music, artists and creatives. It is a space for everyone to congregate, to drink delicious and inventive drinks, to experience new music and artists and to dance into the early morning. We are about sharing and exploring, highlighting what the Meatpacking district can be, and taking back the grittiness and downtown vibe that has been lost over the years. Come, play and experience The Lively with us. The band kicks off THREE funky sets of brass band music at 7pm. See you there!